Meaning of Akpos: Bros wetin be d meaningof Hair cllips (eclipse)? People just deytalk abt am since. Ogene: Sunget low current. 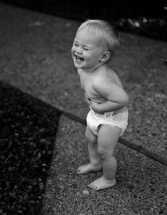 Scientist deyinside them dey try 2 repair am.Akpos: Shooo! this Nepa bad ooo them don go spoil Sun too! inside them dey try 2 repair am. Akpos: Shooo! this Nepa bad ooo them don go spoil Sun too!